Wow am I GLAD it is Thursday!! Since I have about 3 minutes to rub together I am going to do this Redhead Style..
1. The WINNER of the Nathan Handheld is AJH HERE. I have been LUCKY enough to meet her daughter Emily HERE...yes Mom and Daughter and Son and maybe whole family run!! How awesome is that? AJH please send me your address so I can mail your handheld and thanks to Nathan Sports HERE for hosting. Maybe you did not win but you can't go wrong with the price and quality of Nathan Products. 2. When I was REALLY focused on weight loss I told myself that I could not eat ice cream. I love ice cream, if stuck on a island and forced to chose one food I would freely chose the milky cold wonder. So when it was time to come up with a team name for the You Go Girl Half Marathon my idea was "Will run for Ice Cream." Thankfully my teammates liked the idea....but then I went one step further. 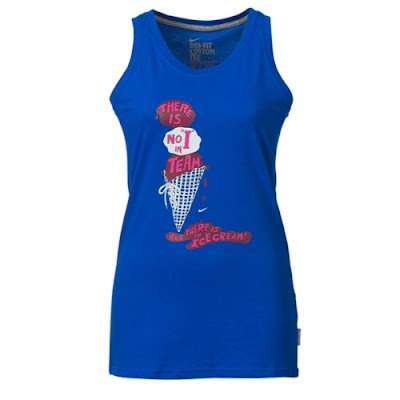 Google "Ice Cream running shirt" and what do you find? How cute are we going to look in our team uniform?? I love it!! Proudly hanging in my closet and waiting for September. What do you run for? 3. REMINDER it is Father's Day this weekend!!! My Tall Dad will be on the road so it will be 333% Muscle Man's day. I am not sure what we have planned yet. I know we want to go see Toy Story 3 as a family but I really want to give him a day to RELAX!! As a stay at home Dad he rarely gets a break... What will you be doing for your Dad/Husband/Father Figure? Tomorrow is High Five Friday. Do you have a Race, life event, birthday, Giveaway, etc and would like to be on High Five Friday? 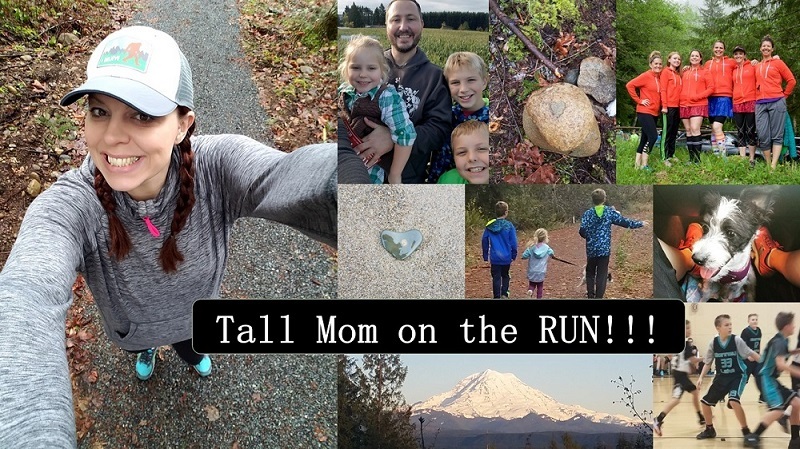 If so, please leave a comment or email me at tallmomontherun (@) hotmail. I will TRY to link in everyone!! Lovin the ice cream shirt. and thanks for the reminder about father's day. i know that it's sunday but i also know i will forget come sunday! I saw that Nike ice cream shirt in a local retailer. Loved it when I saw it! Cute!! Very cute shirt and yea i have no idea what we are doing for the husband this weekend, yikes i guess i better get on it. Great shirt! I would absolutely wear that! 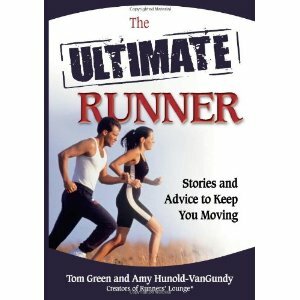 I love the weight loss help of running, but I mostly just run because I can. It's such a good feeling to meet a goal or to strive for something you're not sure you can do. I have a hard time leaving my comfort level, and running is always outside of my comfort level! My husband is in California with two of our kids for my middle son's volleyball tournament, and I leave town for a 5 day bike trip on Father's Day, so we won't see each other, but I snuck a card and some gifts into my son's bag so they can surprise him for FD. This weekend my husband and I are doing a 5k. It's the Sharon Timlin 5k for ALS in Hopkinton, MA (yes the start of the Boston Marathon!) It's very family-oriented with a band, bbq, face painting, etc afterward. Sharon's son Tim was a relief pitcher for the Red Sox (since retired) and he will be there, usually along with some other Red Sox players, usually signing autographs. It was pretty cool last year, and this year looks to be the same! Enjoy your weekend! I definitely run for ice cream too! Love the shirt! I run for carrot cake. That ice cream shirt is totally cute! I love it! Enjoy Toy Story 3! i want to go see that so badly! Oh and I forgot to add that I am racing tomorrow, a 5k. Would love a 5k race, but they are few and far between where I live. Next big race is in October, the Lausanne 10k, 1/2 or Marathon. Shooting for the 1/2. Love to run, it is a life line for me! I def. run for ice cream. Love that stuff! Ok, So I tested the ice cream shirt. I'm wearing it in the pic on my blog today. It was awesome! And super cute with a pink skirt! Father's Day - Dizzle's BFF is having her 5th bday at a minor league baseball game. So we will be there. I got J and his Dad Red Sox tickets for a gift and I am going to do my long run on Saturday so that he can sleep in! Cute shirts! I will run for ice cream anyday! Where can I find an ice cream shirt like this? I just ate an ice cream cone for a snack; after a banana and an apple ... so that's ok, right? I have a 10K trail race on Saturday. Congrats AJH! I don't have a race this weekend, but ADP is running the local Father's Day 5K and I hope to get there early enough to get Bugs and Punky into the kids' races! I'll be cheering them all on. That shirt is awesome! Now, if I actually wore shirts while I ran - I would have to buy it! Tee hee! Nothing exciting here - just glad tomorrow is FRIDAY!!! Love that shirt! Emily and I are running the Run for Roses this weekend in MD. It has a mother/daughter division. How cool is that! I will email you my address. I am very excited to win the Nathan handheld which I have dying to try! I cannot believe it's Thursday so soon! Thanks for the reminder and for the great three things! 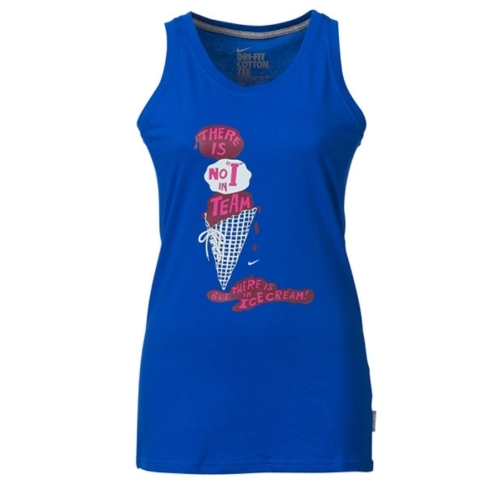 Love the ice cream tank, so cute! Love the shirt! And ice cream too!! Where can I find the ice-cream shirt? I tried to google it. It's SO my style!